Finally! At least Some In Gub’mint Are taking the Threat Seriously!!! Zombie Key Fobs – Ya Don’t Wanna Be Fumblin’ Fer The Keys In A Crisis! Approximately 6″ long, made from decorative ribbon sewn on strong, lightweight nylon webbing with metal hardware. 1″ wide with a 1″ Split Ring attached. Hand sewn in the USA! Handmade large dog collar, with curved plastic buckles and metal D ring, featuring unique designs sewn on the the lightweight nylon webbing base. Large – 17 inches to 27 inches. The ribbons used on these collars are often from discontinued stock, so the designs should be considered Limited Editions. My collars are tested on animals – mine! Outfit Yer Hound(s) Fer The Zombie Hunt! Fleur di Skull Dog Collar Large by TheNobleBeast on Etsy. 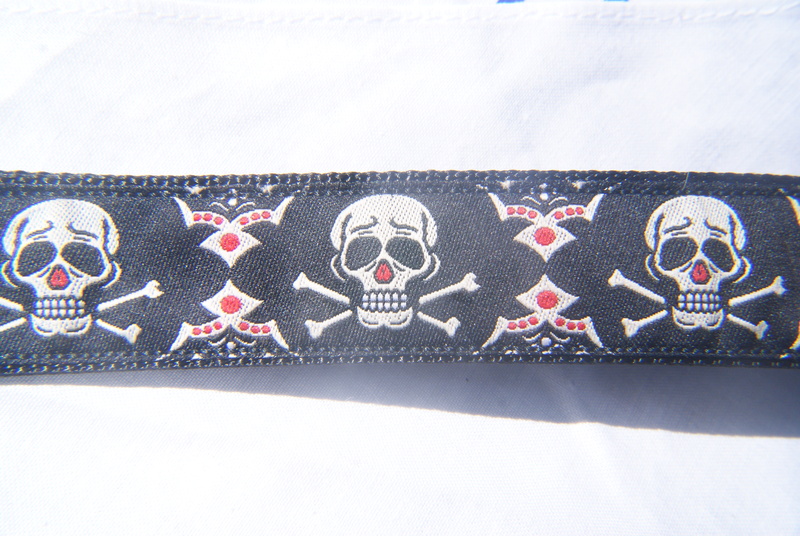 Tribal Skull Dog Collar Large by TheNobleBeast on Etsy. 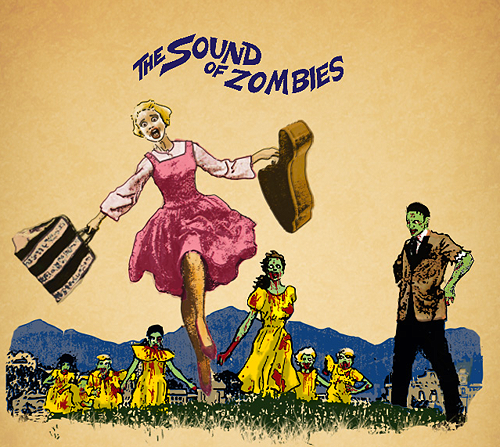 Keep the zombies distracted while you enjoy some “me” time!